It is this injustice that Adele and the lower Tri-Realms are fighting against. 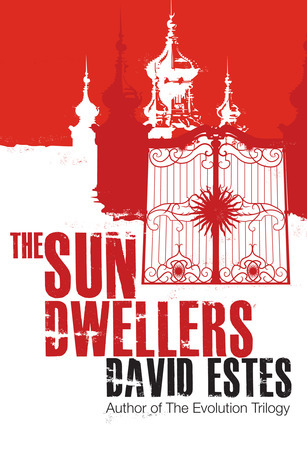 The Sun Dwellers picks up where the Star Dwellers left off and it is the second to last book in this series, but by no means is it the final book in the world of Adele, her friends, and her fellow Dwellers. Adele’s mission in Sun Dwellers is to assassinate President Nailin. The assassination attempt isn’t all that is going on in this book, though, it is full of secrets revealed and fights and strength to the end. The romance that began in Moon Dwellers, blossomed in Star Dwellers, will be put to the test in Sun Dwellers. It seems like a lot of what happens in the Dweller Saga is travel. Adele and her trusty companions are constantly on the move, using stealth and secrecy to accomplish their goals. The Sun Dwellers takes place mostly in the Sun Realm and mostly out of sight of any main pathways. It also takes place within only several days, but there is no want for action and adventure and emotion. I love the tension present in this book between Adele and Tristan. Their relationship was really put through a loop with some secrets revealed and discovered. Why were they so instantly attracted to each other to begin with? Estes gives us more insight into this answer and more. Adele and Tristan each go through heartache as they come to terms with the answers they discover and their feelings for each other. It is both heartbreaking and exhilarating to watch them in their relationship. If you like a story full of suspense and secrets, action and adventure, love and emotion, then go no further and grab the Dweller Saga by David Estes because they are excellent. This novel was published through Createspace Independent Publishing Platform 11/27/2012 and is available on Amazon here.